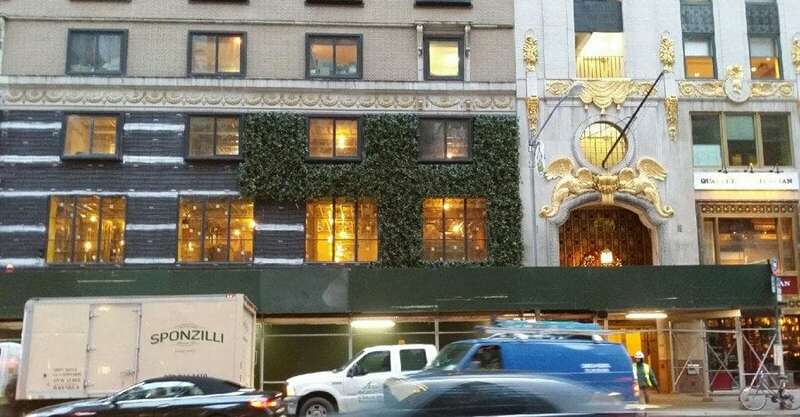 Take a look at Sponzilli Landscape Group’s latest green wall installation at 1414 Sixth Avenue in New York City. 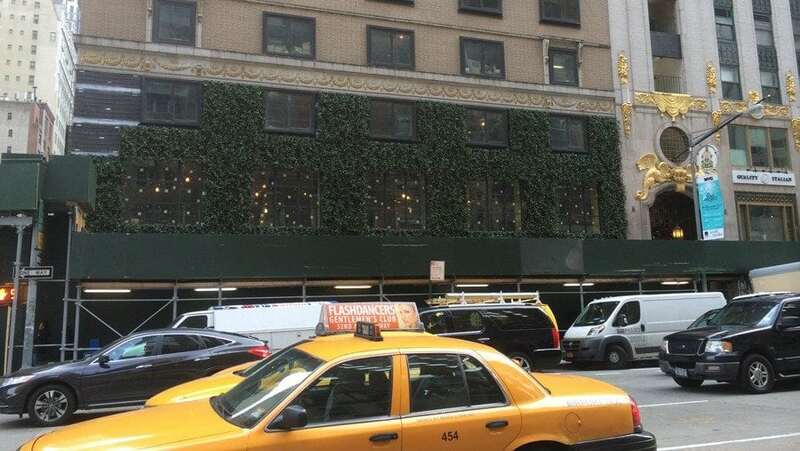 When completed, this new green wall will cover 2,000 square feet of the building. Here you see a two stages of a work in progress that requires two scissor lifts and approximately 640 brackets.